The dynamic lyrics that Didear and his bandmates created for ‘Everybody Knows,’ which is powerfully driven by synth and electronic percussion and indie rock guitars, clearly represent the perfect love that the vocalist has for his wife. He affectionately croons with a rich resonance and radiant vocal harmonies that an ordinary life doesn’t work for him, as he’s waited my life for her. The tune genuinely overcomes the intolerance that’s become increasingly present in the current political climate. To help overcome the divide that has overtaken the country, White Label Analog rightfully released a love ballad that emphasizes a universal message of love and acceptance that’s all about connecting with others and inclusivity. Devising an intensely relatable and equally fun love ballad is the true essence of what it means to be a standout pop musician. The members of White Label Analog captivatingly personify what it means to be a true American band that can create inspirational anthems. That’s certainly the case with the lively and enduring ‘Everybody Knows,’ which shows how unequivocal love might encourage people who are living through this difficult era to truly embrace life. 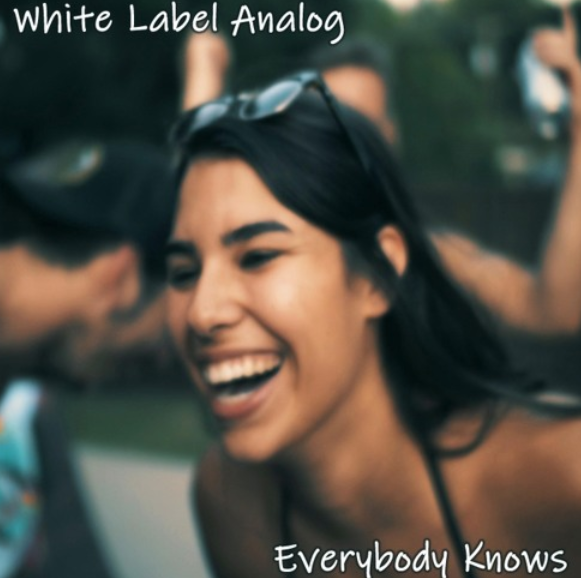 For more information on White Label Analog, visit its official website, as well as its Facebook page.